Let the cheer reach everyone! We wish to express our condolences to those who have been affected by the earthquakes that struck Kumamoto prefecture in April 2016. We want to work with our fans to bring back the cheer to Japan by bringing back the 'Cheerful JAPAN!' charity project, to help raise funds to aid relief efforts in the Kyushu region. This product is released as a joint charity project with Crypton Future Media. 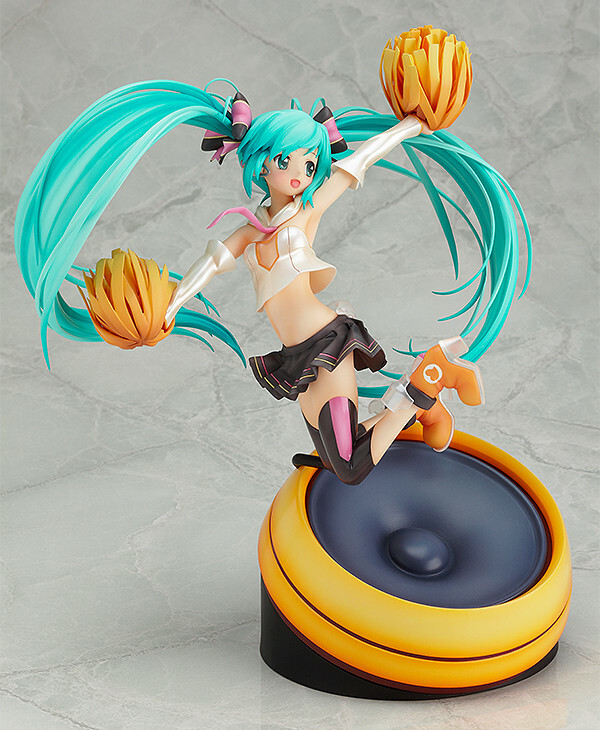 This 1/8th scale figure based on the winning illustration from pixiv's 2011 'Cheerful JAPAN! feat. 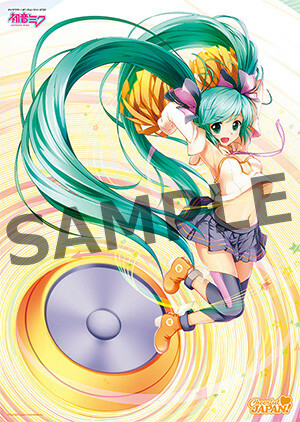 Miku Hatsune Cheerful Illustration Contest' is back once again to cheer everyone up! The illustration was titled 'Cheer Up!! ', and was illustrated by bun150. She is wearing a cute cheerleader's outfit, and has a lovely smile on her face to help spread the cheer all over the world! 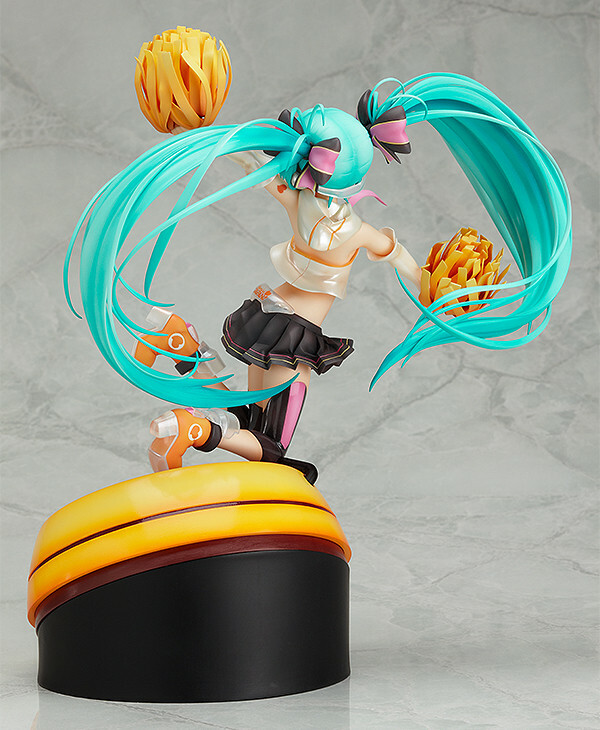 For each figure sold, Crypton Future Media and Good Smile Company will donate ¥2000 to aid the relief efforts in Japan. Hatsune Miku is futuristic voice synthesizer software that is designed to allow users to easily create vocal parts from scratch by just entering a melody and lyrics. Crypton Future Media developed the music software based on the voice of a Japanese voice actress, Saki Fujita, and first released it on August 31st, 2007. 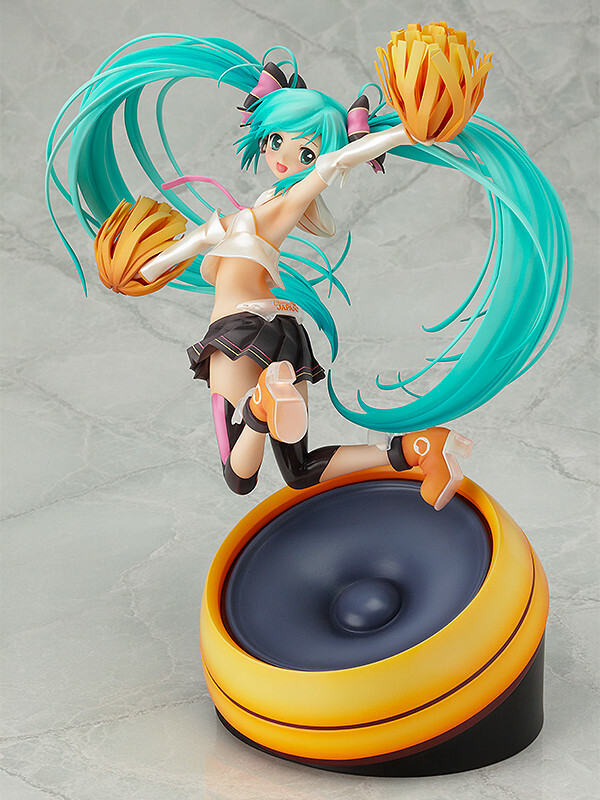 After the release, Hatsune Miku quickly evolved into a phenomenon of a highly participatory cyber culture with creating and sharing Miku-related content around the globe. *A folded B3 Poster is included with this product. Please note the poster will have fold lines. *The included poster is not applicable for customer support. The included poster will be based on this illustration. *Please note the poster will have fold lines. Preorders will be open from 25th April 2016 (Mon) from 19:00JST until 25th May 2016 (Wed) at 21:00JST. This product is available for order from the GOODSMILE ONLINE SHOP. Please see the GOODSMILE ONLINE SHOP website below for more details. · Delivery within Japan is free of charge. · Delivery is scheduled for December 2016. · Due to the donation taking place before products are delivered, you will be charged on order and not on delivery. · Payment can be made by bank transfer, credit card or Paypal. Cash-on-delivery is not available. · For each sale made, ¥2000 will be donated to aid relief efforts in Japan. · A maximum of five of this product per order will be available. · Products will be made to order. Orders must be made within the dates specified above. · Should you have any questions, please contact shop@goodsmile.jp. Japanese only. · Orders cannot be cancelled. Please consider your purchase carefully before ordering. · Payment can only be made by credit card or Paypal. · Shipping will be charged at ¥2000 to all countries. · You may be charged additional fees such as import tax when making an overseas purchase. Please consult your local customs office for more information. · Payment will be charged in Japanese Yen. · Should you have any questions, please contact shop.overseas@goodsmile.jp. English and Chinese support available.